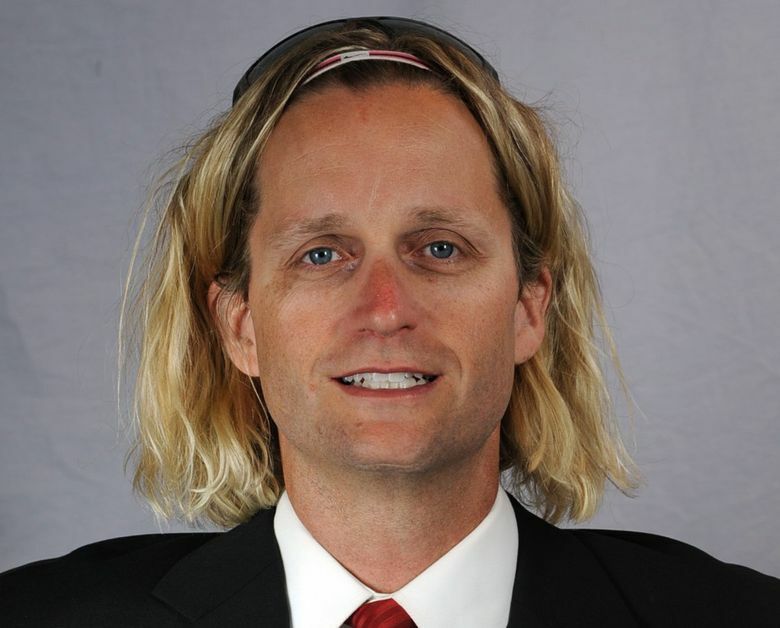 According to Bruce Feldman from Fox Sports, Washington State inside receivers coach David Yost is leaving to join Mark Helfrich's staff at Oregon. According to Bruce Feldman from Fox Sports, Washington State inside receivers coach David Yost is leaving to join Mark Helfrich’s staff at Oregon. Yost was hired at WSU in 2013 after spending 12 years at Missouri under Gary Pinkel. Football Scoop reports that Yost will coach the quarterbacks at Oregon. Under Yost, WSU’s inside receivers have flourished. River Cracraft was an All-Pac-12 honorable mention selection as a freshman in 2013, and a preseason Biletnikoff Award watch list candidate this season. Yost helped WSU become the nation’s No. 1 passing offense in 2014 and 2015. Yost began his tenure at Missouri in 2001 as the quarterbacks coach and recruiting coordinator, but worked his way up to offensive coordinator and assistant head coach by the time he left in 2012. Yost was making $241,500 per year at WSU. Yost’s departure means that WSU will go into the 2016 season with a brand new pair of receivers coaches. Dave Nichol joined the staff after the bowl game to replace Graham Harrell at the outside receiver spot, and the Cougars also lost offensive assistant Joel Filani, who helped Harrell coach the outside receivers, but joined Harrell at North Texas as the receivers coach. With an offense that’s so dependent on the passing game, WSU head coach Mike Leach has traditionally employed two receivers coaches on his staff. Nichol, who worked for Leach at Texas Tech in the mid-2000s, says this is because WSU doesn’t generally play a tight end. Thus, it frees up space on staff for two receivers coaches. There’s enough of a difference between the skillset required to play inside and outside receiver that it helps to have two coaches available to oversee both positions. Yost was quite the enigma at WSU in part because he kept a low public profile and never did any media interviews. But his work with the receivers spoke for itself. Under Yost’s tutelage, Cracraft finished his junior season as WSU’s third-leading receiver (53 rec, 615 yards) despite missing two games due to a foot injury. Yost also helped ensure true freshman Kyle Sweet was ready to step into Cracraft’s position at Y receiver. Sweet started in place of Cracraft and played in 11 games, finishing with 21 receptions for 222 yards. Sophomore receiver Robert Lewis started at ‘H’ receiver was WSU and finished behind Cracraft with 43 receptions for 490 yards. He’s lauded for his skill as a blocker, and he will likely play a significant role in the offense next season.